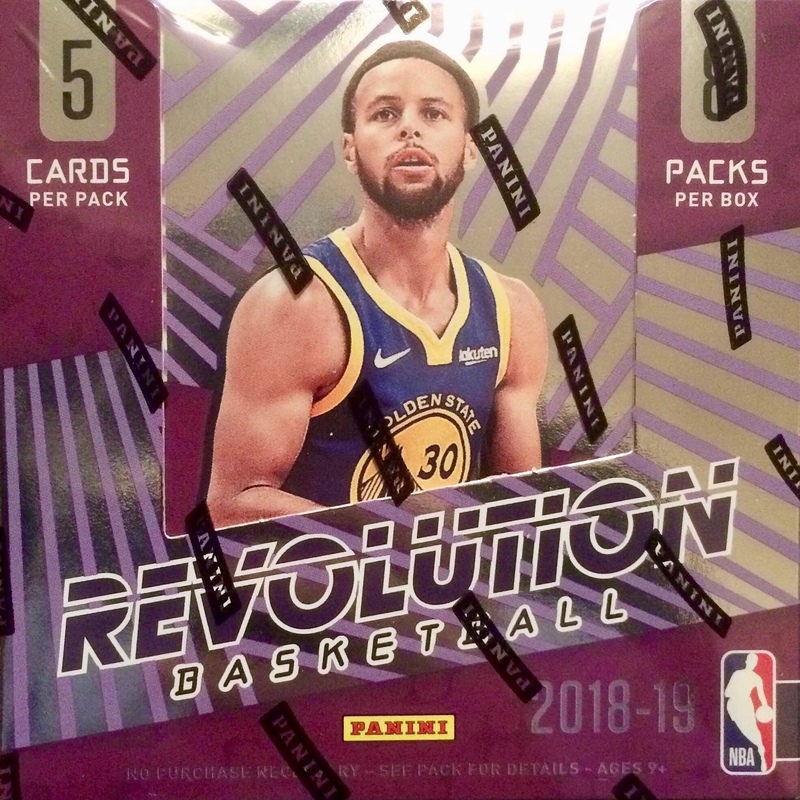 2017-18 Panini Revolution Basketball — Very nice! 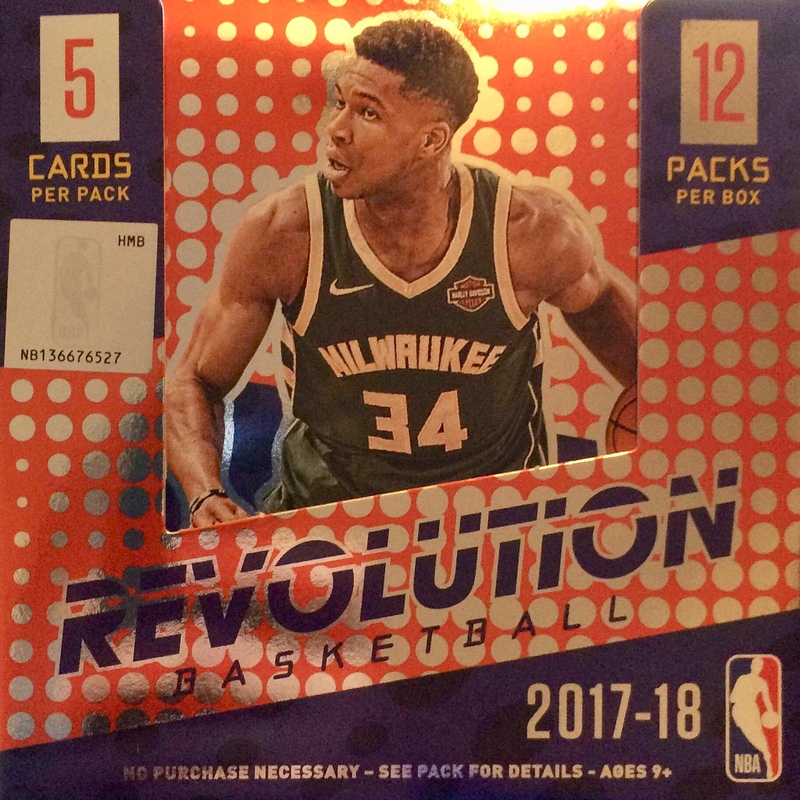 I really like the 2017-18 Panini Revolution Basketball cards! 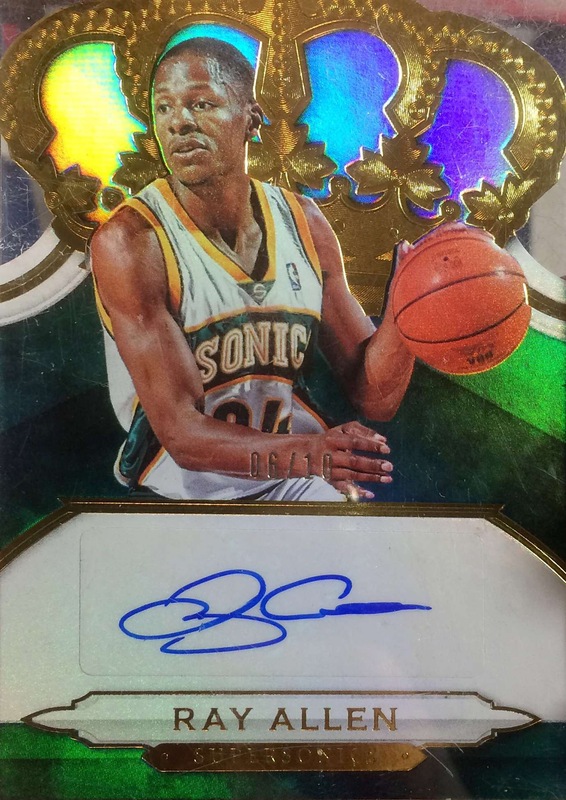 The base set is straightforward, with 100 vets and 50 rookies. 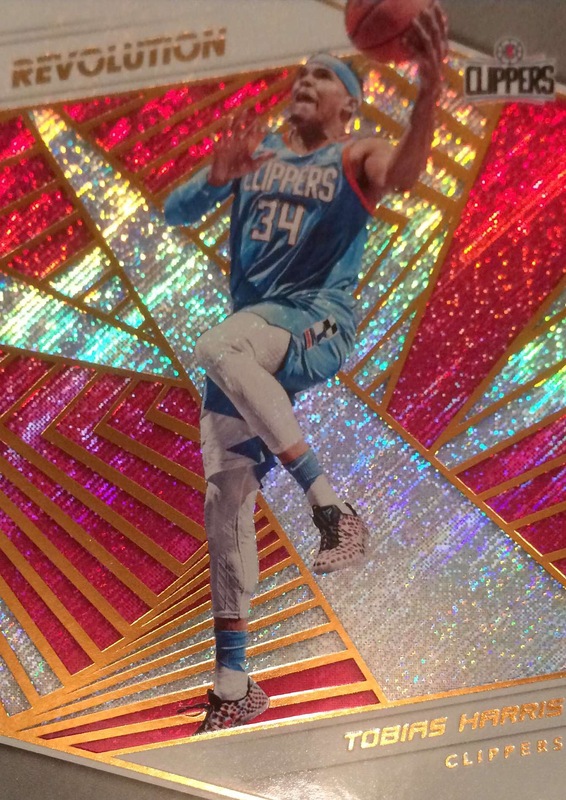 The designs are heavy on the foil and kaleidoscopic colors, which I like. There are a wide array of geometrical arrays in the inserts for fancier effects and lots of rainbow collection opportunities. 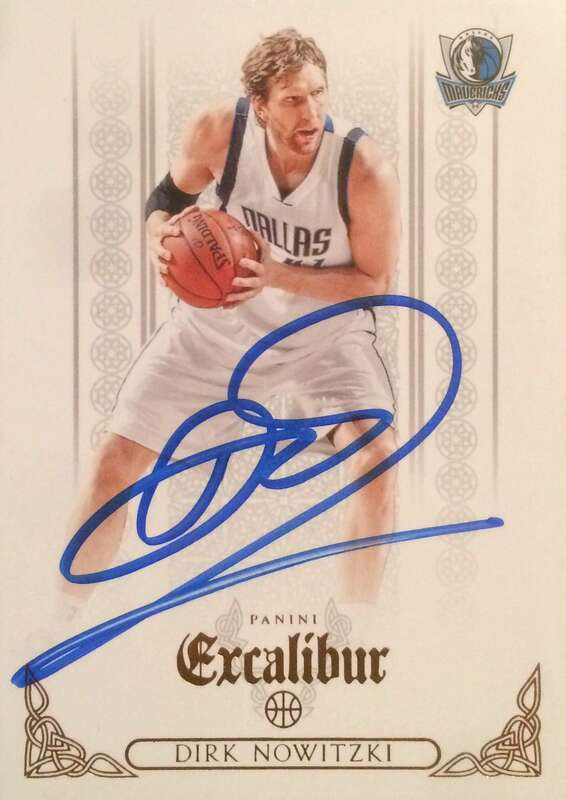 Hobby boxes are around $65 for 8 packs, 5 cards per pack (most have 3 base and 2 inserts). The hobby boxes include 4 rookies, 4 inserts, and 8 parallels. The hobby box has the fancier inserts and low numbered parallels. 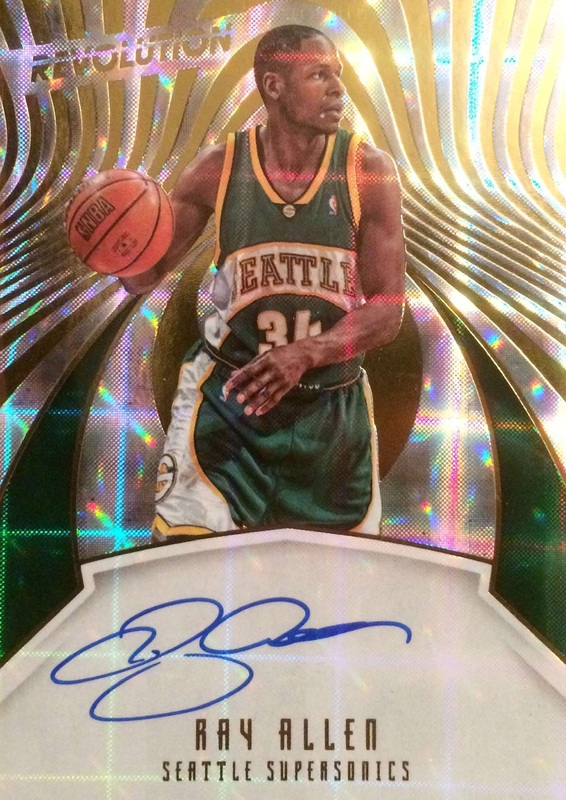 About six of the 16 boxes in a case have an on-card auto. I got a couple and they are very nice. The inserts and autos include a significant number of past and present stars (which I prefer to an overemphasis on rookies). I’m not aware of any memorabilia cards with this set but there are lots of great looking cards! There are also the Chinese New Year international retail boxes, significantly cheaper at around $40 for 12 packs, 5 cards per pack (3 base, 1 RC, and 1 Chinese New Year Cracked Ice parallel). I got a couple of each type of box plus a few more hobby packs. Photos of some of the cards I got are below (pardon the quality, with all the refraction effects they are not easy to photograph well). If you’re looking for huge hits this set is probably not for you. 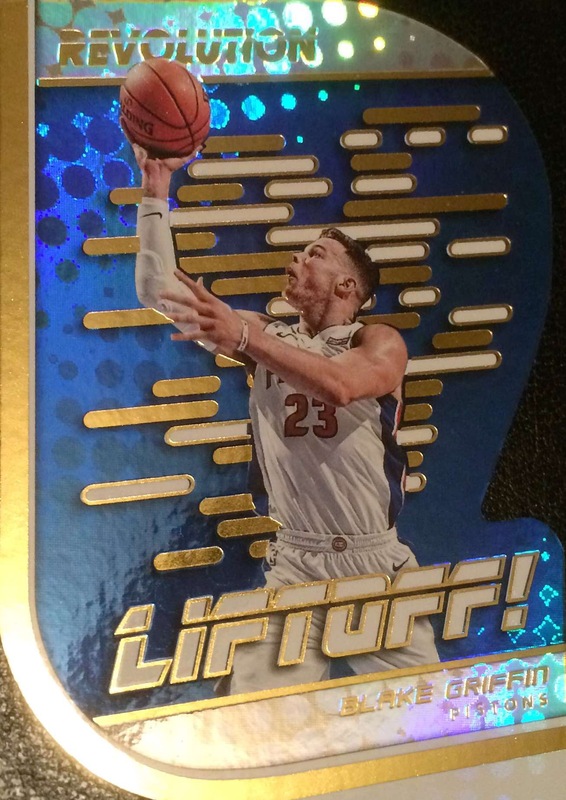 However, if you like a small base set, sharp-looking cards with lots of colors and a wide variety of refractor effects, and a nice distribution of past, present, and future stars in the inserts and autos, I think you’ll like Revolution as much as I did it. I give it 4.5 out of 5 stars! 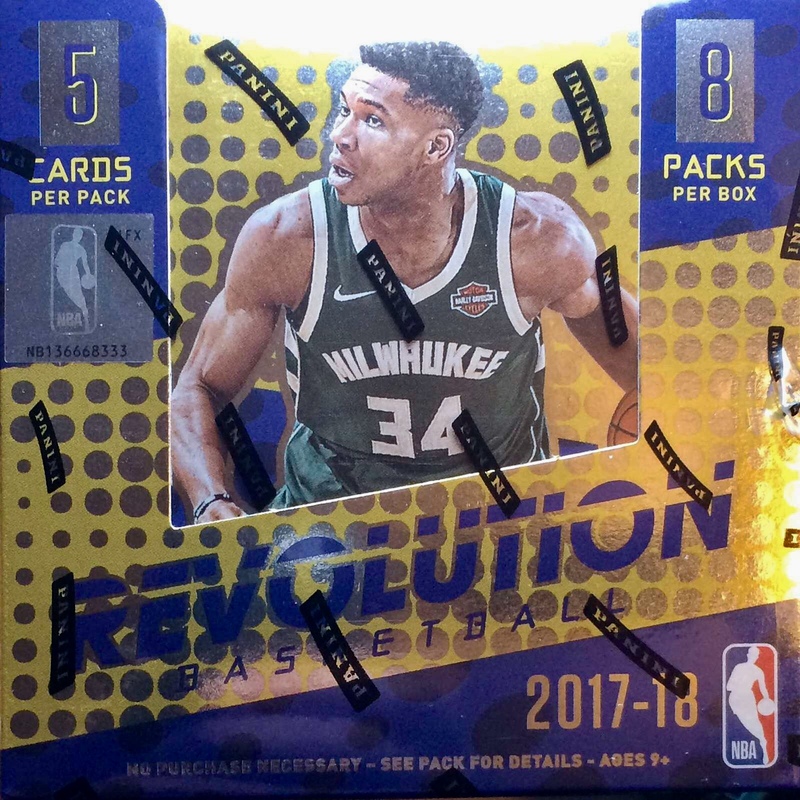 Author vbsportscardsPosted on February 18, 2018 February 28, 2018 Categories BasketballLeave a comment on 2017-18 Panini Revolution Basketball — Very nice!